Want to know more about Segways or our Uluru Tours? If so check the list of our Uluru Segway Tours FAQs. Segwaying is a fun adventure activity and yes people do fall off. Most people that fall off are able to jump back on. However this adventure sport is not for everyone and there are a few limitations and things that tour participants should be aware of prior to booking. Segway riders must be between 45kg – 117kg (100lb – 258lb). Unfortunately people outside of these weights are unable to participate in our tours. Segway riders must be at least 12 years old to participate. We recommend this activity for people within the age of 12 to 55 years old. Riders under the age of 18 years will need to be accompanied by a parent or guardian. If you are above the age of 55, you should be aware that if you fall from a Segway you are at an increased risk of injury. Can I participate in a tour if I am pregnant? 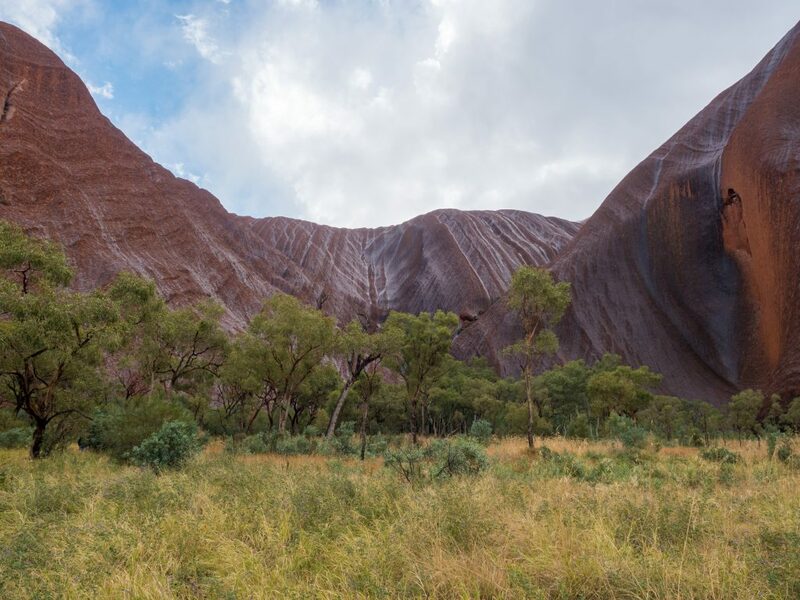 Uluru Segway Tours strongly discourages pregnant people from participating in the tour. This is for their own safety and the safety of their child. If you are uncertain if Segway is the correct activity for you, please contact us. How does a Segway move and balance? Segway’s use dynamic stabilisation technology. Segway’s move when you shift your center of gravity. For example, the wheels will move forward or backward when you lean forward or backward. At Uluru Segway Tours we use a 2X SE Segway. Can I fall while riding a Segway? It is still possible to fall while riding a Segway. However we equip tour participants with all of the necessary skills to operate a Segway safely. We have a training course that simulates different terrains that participants will experience on the tour. Segway’s are designed to balance for you. It is the rider though who will be in control of the Segway. This includes the direction and speed. It is important to ride a Segway with care. Be aware of surroundings and hazards. Uluru Segway Tours provide a Segway training and assessment session at the start of each tour. During this session our tour leaders will train and assess individuals. If participants can’t demonstrate they are able to safely operate a Segway they will not be able to participate. Our Segway’s operate as part of a guided tour. They are not available to be rented without a guide. How big is the tour group? We offer small group tours with a maximum of 12 people. Do I need to book a Segway tour? It’s a great idea to book a Segway tour in advance. This will make sure you can ride at the time that best suits you. This can be done directly through our booking page. You can also visit us at the Tourist Information Centre at the Ayers Rock Resort or alternatively at our base site at Uluru located in the Kuniya car park to discuss tour options. Uluru Segway Tours will continue to operate unless the Bureau of Meteorology forecasts that in the next 3 hours there will be a 20% chance of rain. When such a situation occurs participants will either be – rescheduled to a suitable time, issued a refund or in the case of third party agents please refer to their cancellation policy. Participants are required to wear closed in shoes whilst participating in any Uluru Segway tour activity. Participants wearing flip flops or thongs will not be permitted to engage in any Uluru Segway Tours activity under any circumstances. It’s quite sunny in Central Australia therefore we recommend that you wear a shirt a that covers your shoulders and that you bring 1L of water, sunscreen and a cap. Participants are welcome to bring a back pack or small bag if they wish. We do provide water bottles holders for guest to use to carry their water bottle. Where do the Segway’s operate? Uluru Segway Tours operate in the Uluru-Kata Tjuta National Park, Northern Territory. Our site is located at the base of Uluru/Ayers Rock in the Kuniya car park. Can I book a private Segway tour? Yes, you can book a private Segway tour for your small group or function. Contact reservations for details. The tours range from 2.5 to 5 hours long and this includes the training and assessment session. What if I am late and I miss the ride? At our discretion Uluru Segway Tours reserves the right to refuse participation of late arrivals, due to this please arrive to check in with us 10 minutes before the tour begins. Can I take photos while riding a Segway? Throughout the tour you will be able to stop for photographs as our enthusiastic guide shows you the best places to get some amazing photos. It’s best to keep your hands firmly on the handle bars, whilst the Segway is moving. Around Uluru you are asked not to photograph sites that are considered culturally sensitive. Your experienced guide will help you to discover where these sites are.